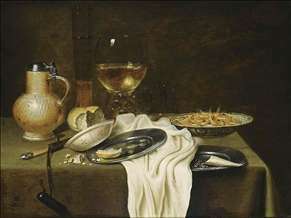 Flemish painter of still-lifes. Born in Leeuwarden in 1611, Maerten (or Martinus) was a deaf-mute (hence his byname De Stomme ), who was recorded in Haarlem in 1642 where he was accepted as a pupil of Willem Claesz. Heda. He must have been a trained painter before he came to work in Heda s studio in 1642. Boelema s dated works only span a two-year period, from 1642 until 1644. 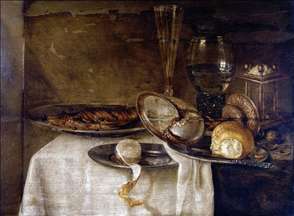 There are about twenty signed still-lifes known by the artist. 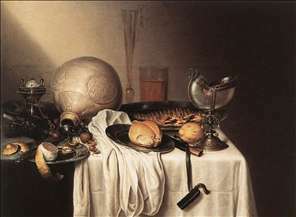 See more details about "Still-Life with a Bearded Man Crock and a Nautilus Shell Cup"